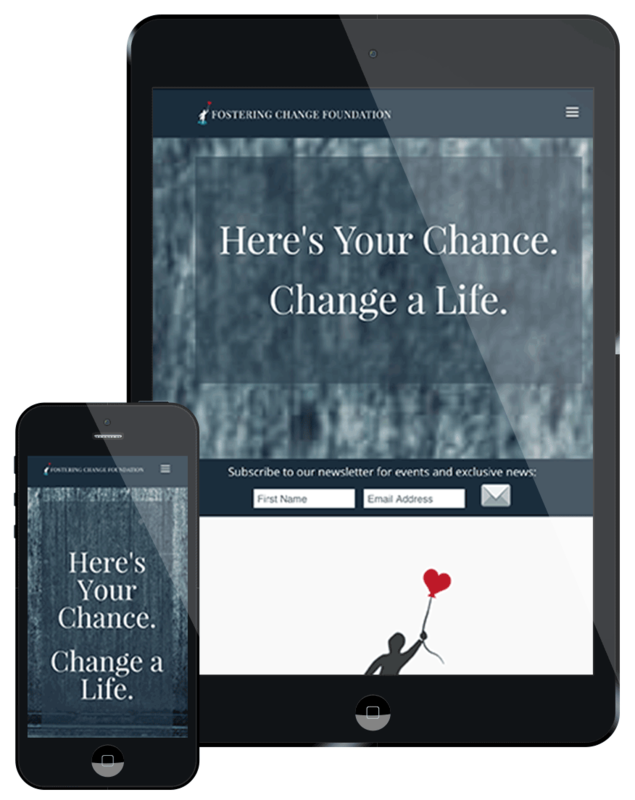 The Fostering Change Foundation is a non-profit organization whose mission is to provide support services to aged out foster youth in the tri-state area. Since they are newly formed, they had no web presence and needed a way to build newsletter lists. We designed an introductory site that makes clear the organization’s mission. We created and linked two social media outlets, and used prominent call to action (CTA) sign-up modules to aid the organization in building their newsletter lists. Responsive design ensuring optimal viewing across a wide variety of mobile devices. Leveraging social media platforms help promote the organization and engage the target audience. Followers of the organization stay informed of upcoming news and events with the aid of email campaigns.